We might not be spending much time in the garden at the moment, but the long dark evenings give us a great opportunity to plan for the spring and summer. Use Pinterest to create inspiring moodboards with images of gardens and plants that you love. You could even plan to plant a show-stopping tree. In the 2016 Dairy Diary we show you how to choose the perfect spot and the ideal specimen. or by calling 01425 463390. Trees, beautiful and ever-changing, bring a reassuring sense of continuity – plant a tree and in the normal course of events it will be there for generations to come. Besides this, the bare fact is that trees play a vital role in all our lives. We breathe in oxygen and breathe out carbon dioxide; trees do the opposite, although in fact they store carbon dioxide rather than releasing this ‘greenhouse gas’ into the atmosphere. The leaves absorb various pollutants including nitrous oxides, sulphur dioxide and carbon monoxide. So trees not only produce oxygen but help clean the air, too, and they help to decontaminate the soil by absorbing noxious chemicals, either storing them or changing them into a less harmful state. These are the fundamental reasons why it is so important to maintain woodlands and parks, especially in urban areas. There’s more: trees prevent soil erosion, slow down water run-off (particularly important in storm or flood conditions), act as windbreaks, deaden noise and give shade and shelter. They provide natural habitats for birds, insects and other animals, support other plant life and offer a terrific harvest in the form of timber, fruit and nuts, not to mention soil-enriching compost from leaf fall. Life would be poorer – not to say impossible – without trees, so the more of them the better. At least two charities are on the case. The Woodland Trust organises tree planting, including acres of new woodland to commemorate the First World War, as does the Tree Council, which also runs National Tree Week as an annual autumn event (check websites for details). The National Trust is another great defender and planter of trees. A one-off On a less ambitious scale, you could consider cultivating your own tree. Just one would be a great asset to the garden whether deciduous or evergreen. Think about whether you want one that produces lovely flowers in the spring, such as a magnolia, or has colourful foliage in the autumn, such as a maple. A fruit tree will provide you with a succulent harvest or perhaps you prefer a tree that’s purely decorative, such an ornamental cherry, paperbark maple or a weeping silver pear. Consider how tall your tree is likely to grow and how much it will spread. When deciding where to put it, and whether you want it to be a focal point in the garden, take into account how the shade cast will affect the house and the rest of the garden, and indeed your neighbour’s house and garden. Soil type is critical. Different species of tree prefer different conditions, so don’t skimp on your research. Get the match wrong and your long-term beauty is likely to turn into a short-term flop. You can grow a small tree in a container, and thus control soil type, but position the container carefully because, once your tree starts growing, the pot may be difficult to move. Planting a Tree Autumn and winter are the recommended times to plant a tree, whether bare-rooted or container grown. About a month beforehand, prepare the site by loosening the soil and digging in some organic matter or fertiliser. in a wide area (about 3m/10ft). When it comes to planting, leave the tree in a bucket of water for an hour, still in its pot, if that’s how it came. Dig the hole as deep as the roots and about three times as wide. The base of the trunk should be a fraction above the soil when the hole is backfilled. Backfilling is a job for two. Ask someone to hold the tree upright and make sure soil fills in around the roots, leaving no air pockets – best done with your hands. Firm the soil, not too hard. No need for more fertiliser, which may damage fragile roots, but do mulch with well-rotted compost, not right up to the stem. Support the sapling with a stake or two, secured with tree ties. Remember to loosen them as the tree grows. The young tree will need plenty of watering in its first few years (even if it rains a lot!) and it’s best to keep the area around it clear of other plants. Mulching is good but, again, not right up to the trunk because if this is constantly damp, the bark may rot. It can be worrying if you have a tree near the house, but usually it’s not a problem – as far away from the house as it’s tall is a good rule of thumb, and keep it neat and well pruned. It may be a good idea to have it surveyed from time to time, so that if any problems do arise, they can be nipped in the bud. Serious subsidence or structural damage to a building are rarely the fault of a tree, although it may add to the problem; and subsidence may be a risk on clay in prolonged dry weather, since the tree taking water from the soil may cause shrinkage. Generally, tree roots don’t block drains – only if the drain is already damaged, allowing the roots a way in. A tree is the responsibility of the landowner, and so you may be liable for any damage caused by branches breaking off in the wind, for example. Check your insurance to make sure you’re covered, and for specific conditions that may apply to your property. And before doing anything drastic to a tree, check with the Local Authority to see whether it’s subject to a Tree Preservation Order (when various restrictions apply). 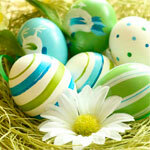 I hope you have all had a lovely, relaxing Easter and not eaten too many of those tempting Easter treats! An extra day off work today – woohoo. The perfect opportunity to show off your gardening talent (or not – it’s so easy my cat could do it!) with the following Pretty in Pink gorgeous spring basket. It takes less than an hour to do and has instant impact. I love hyacinths and they are just starting to bloom now, so it’s definitely one for today’s to-do list, along with a visit to a nearby National Trust property – for some fun family activities. 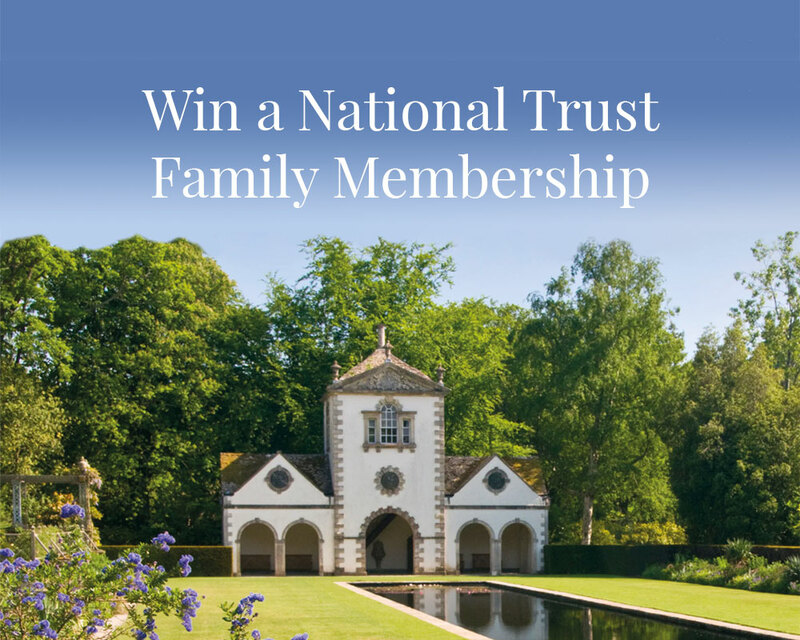 Visit the National Trust website for details of events near to you. And for lots more easy garden projects take a look at Seasonal Garden Ideas . Enjoy!